Handmade geometric shape wall hanging. 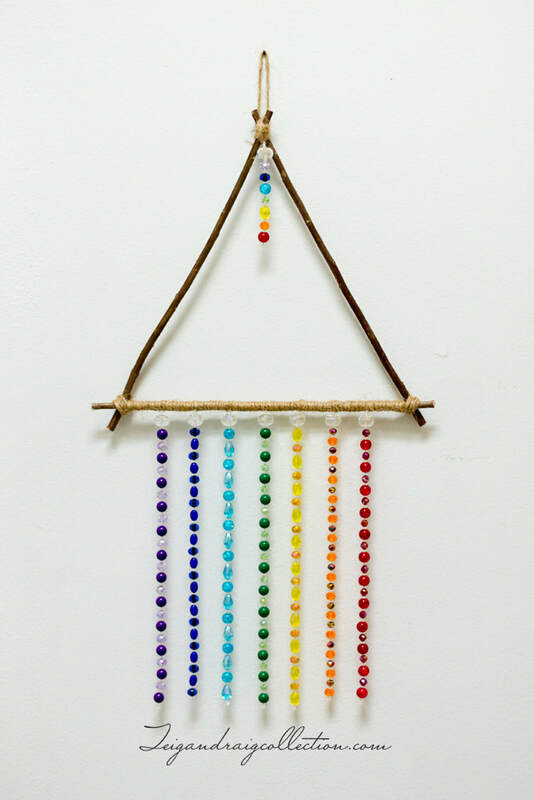 Triangle shape wall art made using apples tree sticks, jute cord, and glass beads. 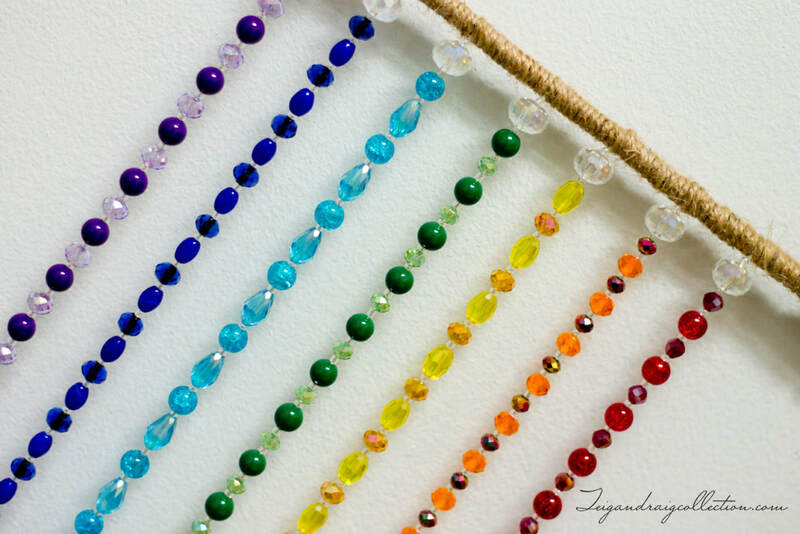 Glass beads colors correspond to each of the 7 Chakras; Crown (purple), Third Eye (blue), Throat (turquoise), Heart (green), Solar Plexus (yellow), Sacral (orange), and Root (red). Measures approximately 19 inches long by 10 inches wide. 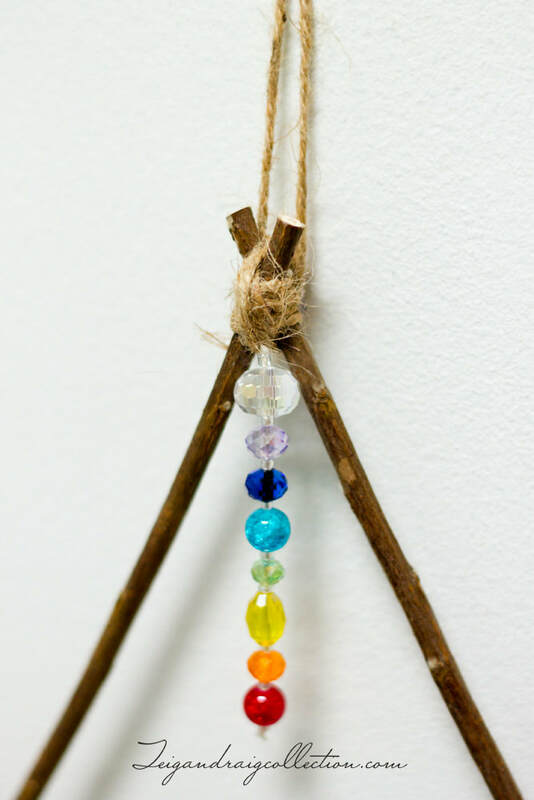 Hang on the wall or use as a light catcher in a window. 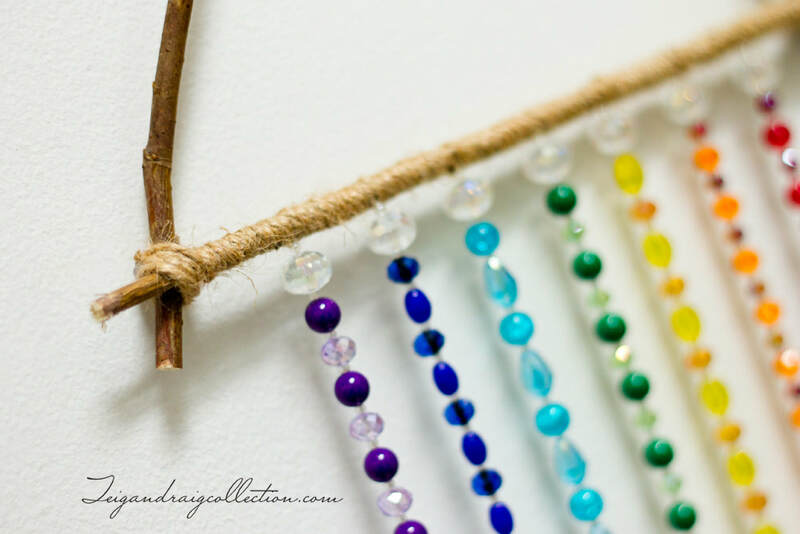 When hung in a window the transparent glass beads sparkle beautifully.